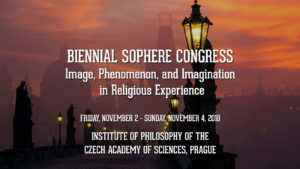 The 1st Biennial Congress of the Society for the Phenomenology of Religious Experience invites submission of research papers dedicated to the phenomenologically determined themes of imagination, image-consciousness, appearance and the non-apparent, phenomenological ontology, and genetic phenomenology, with regard to religious experience. We further invite innovative philosophical and theological reflections on image, imagination, and creativity in religious experiencing, as well as reflections on a reverse problem of how religious experience contributes to the above mentioned faculties examined in the psychological horizon. Please submit an abstract of approximately 250 words. To be considered all presentation proposals should be anonymized and must include a cover sheet with name, paper title, affiliation, five key words, and full contact information including email.